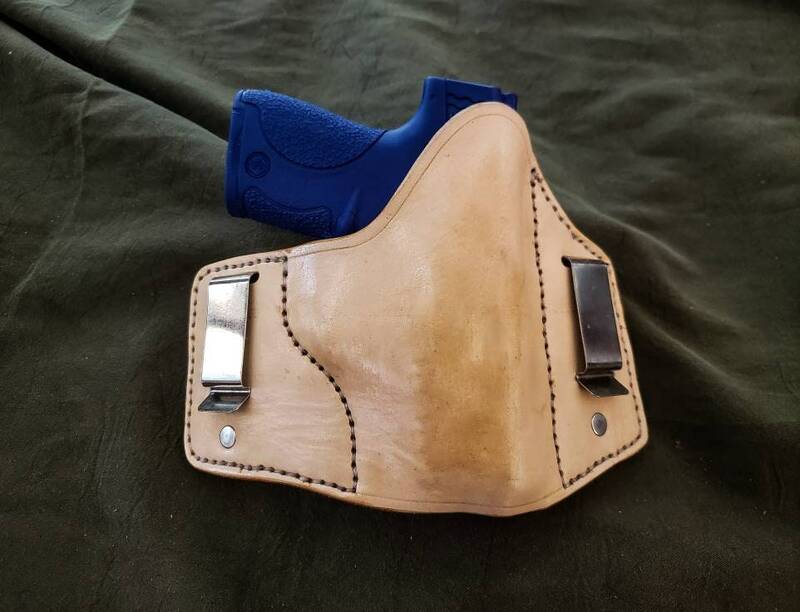 Each holster is made from 8-10 ounce Vegetable Tanned cowhide, hand stitched, and then wet molded to the gun, to ensure proper fit. As a standard, the smaller gun models (K6s, Glock 42 etc.) 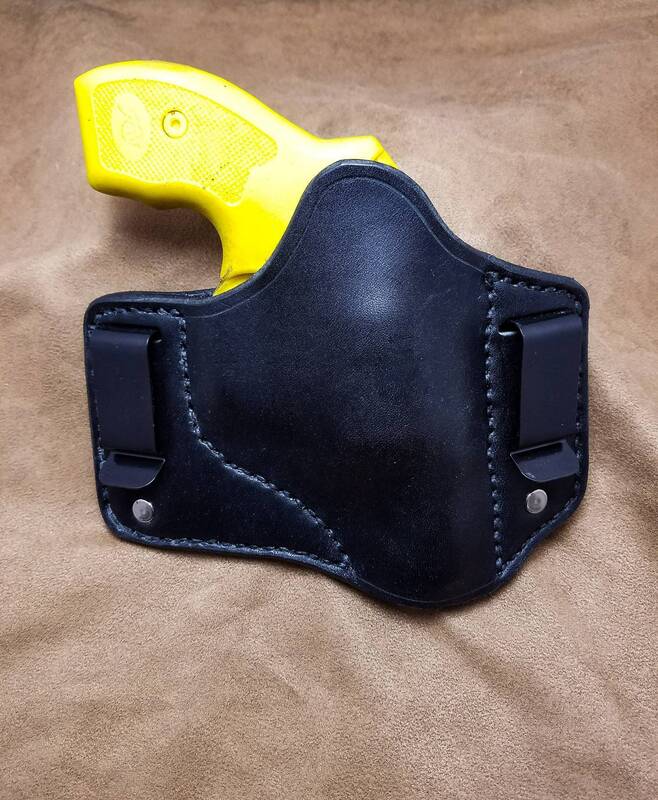 will be vertically orientated in the holster. Larger gun models (1911, CZ75 etc.) 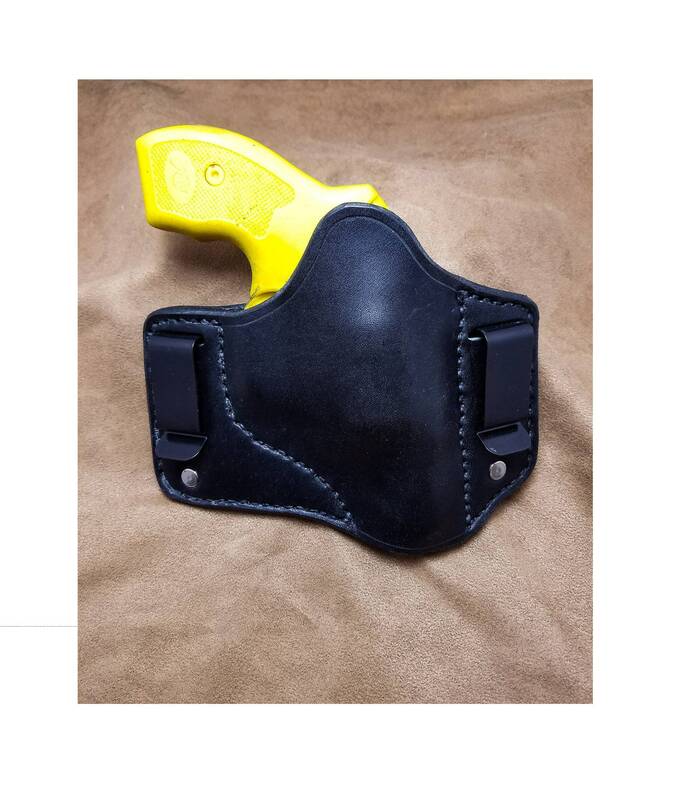 will be angled slightly forward as this helps with comfort/concealment. If you'd like any adjustments to the angles on whichever gun you're ordering for, let me know and I will adjust it for no extra charge. As always, if you have any ideas for customization, feel free to contact me.